Robert was introduced to Baw Baw L2P at a U3A presentation and has been involved with Baw Baw L2P since training in October 2009. He has been a patient and calm supervisor, guiding 6 Learner drivers towards gaining their P’s. Robert has stepped in when other Mentors were not available, come to our skills training and information sessions and left his hat behind after 2 of the annual Mentor dinners. 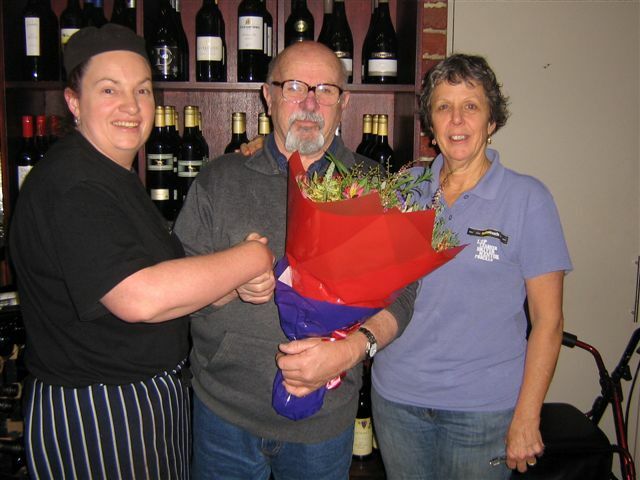 Thank you Robert for all your time and travel and support over the last 5 years.We expect to see you at Warragul Community House and at our Mentor Gatherings if you have the time available.